Versatile and strong, a great and very popular, entry level stunt scooter in 7 funky colours. 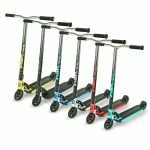 Versatile and strong, a great and very popular, entry level stunt scooter in 7 funky colours! 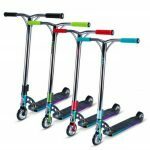 This scooter is still one of the lightest scooters around and folds down with one simple movement! 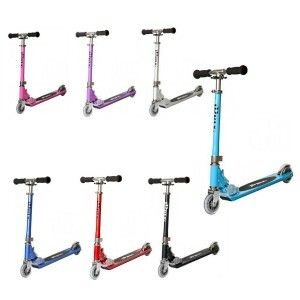 It comes with a single lever folding mechanism, which was the original folding mechanism used on folding scooters. 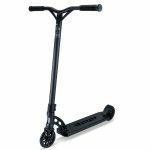 JD Bug have patented this and to date, no one has been able to improve on the simple but effective folding mechanism on any other scooter on the market. Pro series collar clamps, forks and brake are standard along with adjustable bars. Weight 2.7kg. 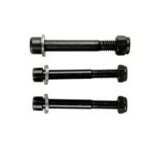 A bolt kit is available on our Parts page so that this can be converted to a fixed set up, so you can hit the skatepark. Highly customisable!